Product prices and availability are accurate as of 2019-04-20 20:21:32 UTC and are subject to change. Any price and availability information displayed on http://www.amazon.com/ at the time of purchase will apply to the purchase of this product. Standard tip. 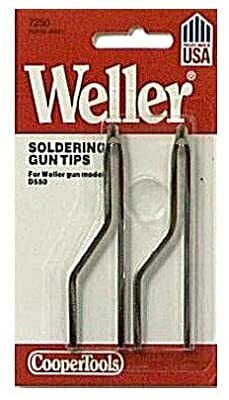 Made of copper, for Weller soldering guns. Tip Width O/D .22 in./5.59 mm. Reach/Length 2.57 in./65.28 mm.